This evening's session will be the final part of BBC's live coverage. It will feature The Mince Pie Stakes and The Olympia Grand Prix. The Mince Pie Stakes: A showjumping class for ponies under 148cm with junior riders, jumping to a maximum height of 1.3m. Top riders on equal faults go forward to jump off against the clock. GB's Jodie Hall-McAteer won The Mince Pie Stakes last year. 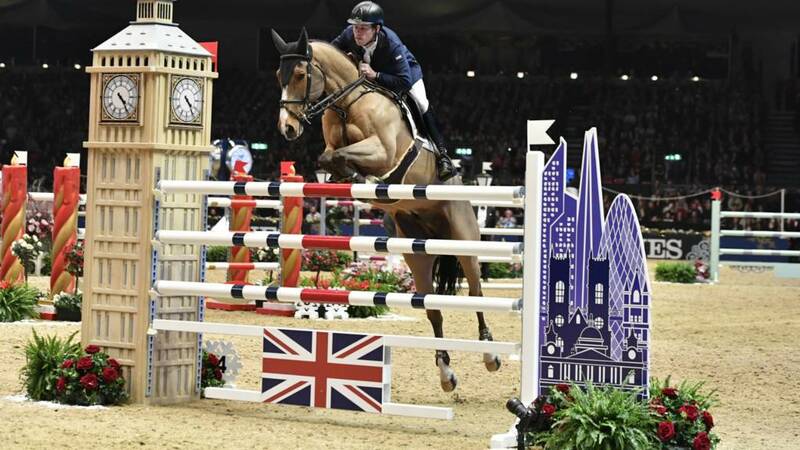 The Olympia Grand Prix: One of the most important classes of the week, jumped at a height of 1.60m. All those who jump clear go through to jump off against the clock. Frenchman Julien Epaillard beats Britain's Scott Brash to win the World Cup show jumping title at the Olympia Horse Show. What is the Olympia Horse Show? The 2017 Olympia Horse Show takes place from 12-18 December at the Olympia Grand Hall in London. The prestigious event celebrates its 110th birthday this year and brings together some of the world's best dressage and show jumping riders. Great Britain's Scott Brash celebrated gold in the 2016 event on Hello M'lady, with fellow Brit Ben Maher in second place riding Diva II. 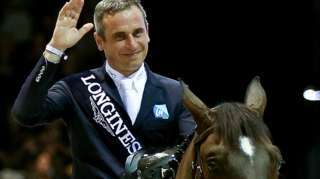 Brash, who was part of the team that won jumping gold at the 2012 London Olympics, also claimed a bronze medal in the 2016 Grand Prix showpiece. Other British contenders include brothers John and Michael Whitaker, who will be hoping to add to their extensive tally of Olympia victories, while Britain's leading female rider Laura Renwick also stars. From Olympic events dressage, showjumping and eventing, to racing at Aintree or Cheltenham, there are so many sports with horses to choose from. Dressage: The combination complete a set test in front of judges who score the individual movements based on harmony, rhythm and expression. Show Jumping: Where horse and rider jump over coloured fences, obstacles and water jumps. The main aim is to get around without a refusal or knocking over a fence for which penalty points are given. Eventing: The triathlon of the horse world where horse and rider compete in three phases, dressage, cross country and showjumping. Visit the British Equestrian Federation to find local horse riding opportunities in your area.